Here Are 10 Best Hand Moisturizers 2019! 1.1 What Is A Moisturizer? 1.2 What Forms Can It Take? 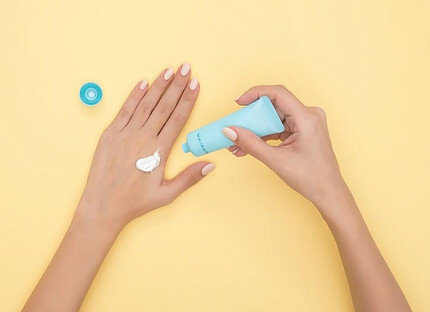 In this article, 10 Best Hand Moisturizers 2019, we will be looking at the definition of a moisturizer, the forms, and the benefits as well as a selection of moisturizers readily available on the market. This guide should be a source of information to help you decide which one will work best with your needs. Let’s take a look. Can be considered a moisturizer. It is all about making your skin – on any part of your body – feel smooth, supple, and hydrated. What Forms Can It Take? I think a moisturizer should do the job no matter what form it takes, after all, it is all about the final results desired. The best way to use a moisturizer is on freshly cleansed skin – any part of the body – it makes very little sense to apply any product to a dirty surface, this can only lead to itchiness, and clogged pores and probably no relief. 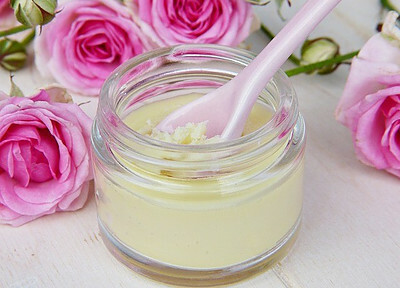 You can also massage the moisturizer into your skin for additional benefits, though it is not a prerequisite for effectiveness – it simply depends on the time you want to commit to the application. These are just a few and I am sure you could probably think of some more. Let us now take a took at our options. We will be focusing on hand moisturizers. OKeefe’s Working Hands Cream seems to be among one of the more popular hand moisturizers based on the extremely positive feedback that I found during my research on this subject. Their mission is to provide the best skin care products to their customers. Water, glycerin, stearic acid, dimethicone, ceteth-10, laureth-4, paraffin, hydroxypropyl methylcellulose, allantoin, ammonium hydroxide, octyldodecyl stearate, diazolidinyl urea, iodopropynyl butylcarbamate, acrylates/acrylamide copolymer, boric acid, mineral oil, polysorbate 85. One of the greatest things about any product using coconut oil is the fact that it contains high levels of Lauric Acid naturally. It is no small wonder that this moisturizing cream is a big hit all around. It is great a product for your skin. Water, Cetearyl Alcohol, Mineral Oil, Glyceryl Stearate SE, Aloe Barbadensis Leaf Juice, Isopropyl Myristate, Cocos Nucifera Oil, Glycerin, Butylene Glycol, Ceteareth-20, Caprylic/Capric Triglyceride, Triethanolamine, Acrylates/C10-30 Alkyl Acrylate Crosspolymer, Chamomilla Recutita Flower Extract, Lavandula Angustifolia Flower Extract, Disodium EDTA, Alcohol, Phenoxyethanol, DMDM Hydantoin, Iodopropynyl Butylcarbamate, Fragrance. Neutrogena is no stranger to the world of beauty and this moisturizing hand cream has earned the National Eczema Association Seal of Acceptance, which no doubt says enough. The organization pays tribute to products when help people with severe sensitive skin issues. The Norwegian formula was developed 35 years ago with one thing in mind – protection for extra-dry skin. This is also a #1 dermatologist recommended brand which is clinically-proven to provide relief. I must admit that I was not too familiar with this brand, however, its popularity speaks for itself. This moisturizer is good for safe for babies, toddlers, children and adults. The ingredients are 100% pure and organic and used in their natural form and combined with additional vitamins and antioxidants which without a doubt makes for a great product. Olive oil, Lavender oil, Grapeseed oil, Almond oil, Vitamin E.
Another great product from the O’Keefe’s brand. Touted to provide relief and skin protection for 48 hours after application. What is interesting about this product is that it can even last through showering. With such great ingredients, one can only expect a product with effectiveness when it comes to moisturizing. Water, glycerin, aluminum starch octenylsuccinate, cetyl alcohol, isopropyl myristate, hydrogenated poly (C6-14 olefin), dimethicone, cetearyl alcohol, butyrospermum parkii (shea) butter, ceteareth-20, polyquaternium-10, distearyldimonium chloride, beeswax, glyceryl stearate, peg-100 stearate, laureth-4, laureth-23, propylene glycol, diazolidinyl urea, iodopropynyl butylcarbamate, ethylene/propylene/styrene copolymer, butylene/ethylene/styrene copolymer, pentaerythrityl tetra-di-butyl hydroxyhydrocinnamate, disodium edta. Burt’s Bees as a brand is well-known for some great products and this is just one of them. I have personally used this hand salve and all I can say is – ‘I love it!’ The smell alone is invigorating every time I use it. I use it not only on my hands but also on my face, especially in the harsh winter weather. The second-best thing, next to its effectiveness, is the smell – it has a n aromatic herbal scent that energizes my olfactory senses every time I use it. I would recommend this salve in a heart-beat. Prunus amygdalus dulcis (sweet almond) oil, olea europaea (olive) fruit oil, beeswax, lavandula hybrida (lavandin) oil, rosmarinus officinalis (rosemary) leaf oil, eucalyptus globulus (eucalyptus) oil, rosmarinus officinalis (rosemary) leaf extract, lavandula angustifolia (lavender) flower powder, helianthus annuus(sunflower) seed oil, tocopherol, glycine soja (soybean) oil, canola oil, limonene, linalool. The L’Occitane brand prides itself on its organic ingredients and its support of the 14,000 Burkinabe women from Burkina Faso, who provide the Shea butter used in their products. Its company was established in 1976. This product can be used daily and as often as needed. It was also nominated for various awards: Essence Readers Choice Beauty Awards October 2012; InStyle Best Beauty Buys 2012; Harper’s Bazaar Beauty Hot 100. This brand and this product must be doing something right. Shea butter, honey, almond extract, coconut oil. Deluvia Miracle Aloe Cream seems to be taking the stage by leaps and bounds, as I found out doing my research. They use the Aloe from Hawaii in there ingredients which is of the highest grade worldwide. Aloe Vera Barbadensis has many components that are healthy and vital for the body including Vitamins A, C, E, B12, folic acid, Amino Acids, Fatty Acids and more. The combination of aloe vera and coconut oil along with herbal botanical extracts and vitamins can only mean one thing – effectiveness and relief. Organic Herbal Infusion, Organic Barbadensis AloeLeaf Juice Organic Sunflower Oil, Glyceryl Stearate, Kosher Vegetable Glycerin, Octyl Palmitate, Palm Oil, Organic Coconut Oil, Cocoa Butter, Cetyl Alcohol, Stearic Acid, Potassium Stearate, Organic Beeswax, Organic Safflower Oil, Shea Butter, Organic Oil, Tamanu Oil, Vitamin B5, Avocado Oil, Organic Passionflower, Nut Oil, Noni, Organic Borage Oil, Organic Flax Seed Oil, Organic Evening Primrose Oil, Organic Rose Hip Oil, Organic Arnica Montana Arnica, Organic Lavender, Organic Calendula, Organic Chamomile, Grapeseed Oil, Xanthan Gum, Allantoin, Organic Green Tea, Citric Acid, Sodium Carbomer, Phenoxyethanol, Ethyl Hexyl Glycerin. Another household name in the beauty industry is Lubriderm, its products are widely-acclaimed to do they set out to do. And this moisturizing lotion fits the bill. This lotion really helps to make your hands feel supple and smooth to the touch. It also has a silk, clean-feel to it after its application. Water, mineral oil, glycerin, cetyl alcohol, sorbitol, caprylic/capric triglyceride, emulsifying wax NF, stearic acid, dimethicone, phenoxyethanol, cetearyl alcohol, lecithin, carbomer, sodium hydroxide, ceteareth-20, diazolidinyl urea, sodium citrate, methylparaben, BHT, retinyl palmitate, sodium pyruvate, propylparaben, fragrance, citric acid, ethylparaben, panthenol, tocopheryl acetate, titanium dioxide. Yet another popular name in the beauty industry, Aveeno lives up to its name when it comes to its products. Aveeno’s products have been around since 1945. One thing to be noted is that the ingredient – oatmeal – helps to restore the skin’s normal pH balance and also strengthens the skin’s moisture protection barrier thus acting as a reflector of dry skin. As a woman who loves to be affectionate and touchy, it is important for me to ensure that my hands are soft, smooth, and supple at all times. This is achievable. What is important is that anyone can use this guide and find something to work with their type of skin. I wish you soft hands and much success. This article has been updated November 2018.